Original Editors - Seth Pinkerton & Jessica Sparks from Bellarmine University's Pathophysiology of Complex Patient Problems project. Methamphetamine is a central nervous system stimulant similar to the drug amphetamine and is classified as a Schedule II drug due to its high potential for abuse. It affects the brain by increasing the release and blocking the reuptake of dopamine which is a common mechanism of action for most drugs that are abused. Dopamine is a neurotransmitter responsible for the reward, motivation, and pleasure centers of the brain. Methamphetamine causes a rapid release of dopamine in the brain resulting in an intense euphoric or grandeur feeling which is the addictive property of the drug. 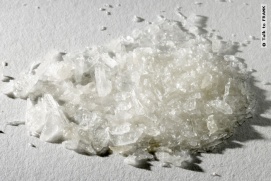 Methamphetamine is a white, odorless, bitter tasting crystalline powder which can easily be dissolved in water or other liquids. It is taken orally, intranasally (snorting), by smoking, or intravenously. Street names include meth, speed, ice, glass, chalk, and many others. In a response to an increase of methampetamine abuse in South Carolina researchers found that compared to abusers of other drugs, methamphetamine abusers were more likely to be female, between 20 and 40 years old, and of non-Hispanic white ethnicity. Further, more methamphetamine users had occupational/economic problems and problems with their primary support group. Another study in California following an increase in abuse found that amphetamine abuse was greatest in rural areas with more young low-income whites, a greater amount of retail and alcohol vendors, and fewer restaurants. However, growth rates were greater in higher income areas with larger non-White and Hispanic populations. This shows that methamphetamine abuse can quickly become popular in a multitude of cultures and communities. In the mid 2000's, Mexico began to limit imports of pseudoephedrine and further restrictions were placed on the sale of over-the-counter cold medication used in the production of methamphetamine. Further, illegal importation of 60 + tons of pseudoephedrine via a "rogue" Mexican chemical company was halted in the mid 2000's, as well as a ban on all pseudoephedrine and ephedrine products in Mexico resulted in a decrease in methamphetamine purity and therefore decrease in treatment admission in Texas and Mexico. The purity increased following a procedural shift to the P2P process, that utilizes chemicals other than pseudoephedrine. Despite slight decrease since mid-decade peaks in treatment admission, levels of methamphetamine admissions remain high in several states at levels seen in the early 2000's, well above levels from the 1990's. For example, methamphetamine admissions accounted for 6.1% of the total in 2008 compared to 1.4% in 1992 nationwide, and 27.4% in California in 2009 compared to 7.8% in 1992. It is clear that education on methamphetamine abuse prevention and abuse treatment are increasing on an national level. Blood-to-blood transfers/ sharing drug paraphernalia leads to Hepatitis-C and/or HIV. 70% of MA- dependent women report histories of physical and sexual abuse. These drugs along with psychological treatment at a drug/rehab facility offer the best hope for the addict to have a successful recovery. Urine, hair, breath, saliva, sweat, and blood, along with behavioral and psychological cues are used most often in drug testing. Due to ease of retrieving a sample, speed of analysis, and low cost, urinalysis is most often utilized. Urinalysis detects the presence of drug metabolites or physical byproducts of the drug’s use. Most accurate is the use of blood testing, which measures the actual presence of the drug or its metabolite in the blood at the time of the testing. However, these tests are more invasive, expensive, and more time consuming. Hair testing uses the same technology as urinalysis, but has advantages for detecting use. Using hair testing, drugs can be detected in hair for weeks to months, as opposed to 2-3 days with blood or urine testing. 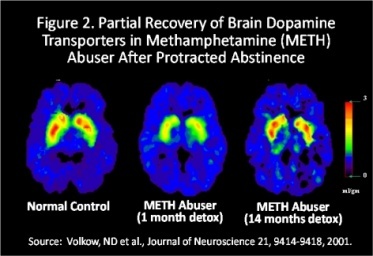 Crystal meth increases dopamine levels in the brain in two ways. First, it increases dopamine release, therefore increasing dopamine in the intercellular space. Because dopamine is a neurotransmitter, this increase produces stronger nerve signals. Second, methampetaminne prevents reuptake of dopamine into the brain cell. Methamphetamine blocks the dopamine transporters, trapping more dopamine within the intercellular space. 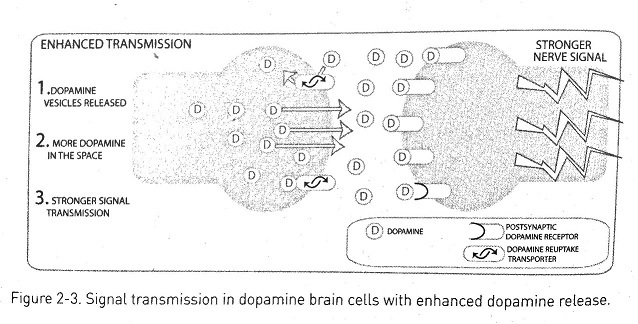 Because of both of these actions, dopamine accumulates and the cell is bombarded, causing increased stimulation and a stronger signal transmission. Using methamphetamine can cause a 1,500 percent increase in dopamine. Dopamine is not just utilized in the brain. It is used throughout the entire body to initiate the flight-or-flight response. Dopamine causes an increased heart rate and vasoconstriction in other areas of the body. Because of these responses, the heart requires more oxygen delivered to other organs of the body. However, an increase in blood pressure to accommodate for this need can sometimes prevent blood from returning to the heart due to a decreased motility of blood through the vessels. In some cases, blood vessels that feed the heart constrict, preventing the heart from receiving an adequate blood supply, leading to myocardial infarction. It is possible that instead of experiencing one traumatic event, some methamphetamine abusers suffer multiple small MI’s over time. GI motility decreases due to decreased blood flow, which secondarily causes a decreased appetite and less frequent bowel movements. In extreme cases, patients can suffer from bowel ischemia due to insufficient blood flow. When methamphetamine abusers binge, they typically do not drink enough fluids, causing dehydration. Due to dehydration, blood pressure dramatically decreases, causing decreased blood flow to the kidneys. 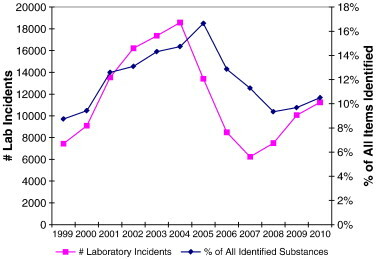 Because of this decrease, binging methamphetamine users are susceptible to kidney failure. Methamphetamine use can lead to muscle breakdown, increasing the level of breakdown products such as creatinine phosphokinase (CPK), which is toxic to the kidneys in high concentrations. Continued and increased muscular breakdown can lead to rhabdomylosis, a condition involving extreme muscle breakdown and possible kidney failure. These comorbidities can be prevented by staying hydrated. The most effective treatments being used today to treat methamphetamine abuse or addiction involves cognitive and behavioral interventions. Trained psychotherapists who specialize in the area of drug addiction are the preferred medical professionals to carry out these interventions. Initially the meth abuser needs to attend a detox center with trained medical staff to be assessed and treated for physical and psychological complications that can occur as the person’s body is going through withdrawal from the drug. - Cognitive Behavioral Therapy (CBT): is based on the idea that thoughts and feelings cause our behaviors, not external factors such as people, situations, and events. This type of therapy aims to help the addict change the way they think and behave to increase coping skills with the stresses of life. - The Matrix Model: includes intensive individual and group therapy to promote behavioral changes needed to prevent relapse, be abstinent, and establish a lifestyle unrelated to drugs. This can include changing their where they live, the people they associate with, and even their profession. - Motivational Incentives for Enhancing Drug Abuse Recovery (MIEDAR): an incentive based treatment promoting meth abstinence is another treatment that has shown efficacy in meth abusers through the National Drug Abuse Clinical Trials Network. Medications such as Wellbutrin are used in conjunction with psychological therapy to treat depression which many recovering addicts suffer from along with the willingness to change can lead to successful recovery. 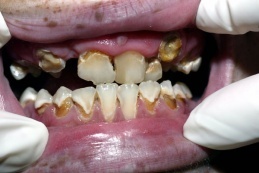 There is currently minimal evidence on PT management of methamphetamine abuse. Instead, we are encouraged to treat the many comorbidities. Physical Therapy involvement in methamphetamine abuse predominantly involves referral to authorities (e.g. home health), psychological care, or other appropriate medical staff. ↑ Kortea JE, Hiotta FB, Bradyb KT, Malcolmb RJ, Seec RE. 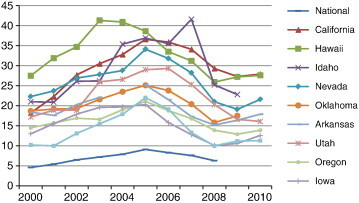 Distinctive characteristics of methamphetamine users presenting at public clinics: Steep rise in South Carolina, United States, 2000–2005. Drug and Alcohol Dependence. 2011, May 1; 112(1-2): 9-15. ↑ Gruenwald PJ, Johnson FW, Ponicki WR, Remer LG, Lascala EA. Assessing Correlates of the Growth and Extent of Methamphetamine Abuse and Dependence in California. Substance Use & Misuse. 2010 Oct 1;45:1948–1970. ↑ 6.0 6.1 Maxwella JC, Brechtb ML. Methamphetamine: Here we go again? Addictive Behaviors. 2011 Dec 1;36(12):1168-1173. ↑ Buxton J, Dove N. The burden and management of crystal meth use. CMAJ: Canadian Medical Association Journal [serial on the Internet]. (2008, June 3), [cited April 17, 2012]; 178(12): 1537-1539. Available from: Academic Search Premier. ↑ 10.0 10.1 10.2 10.3 Fisher G, Roget N. Encyclopedia of Substance Abuse Prevention, Treatment, & Recovery. California: SAGE, 2009. ↑ 11.0 11.1 11.2 11.3 11.4 Miller R. The Encyclopedia of Addictive Drugs. Connecticut: Greenwood Press, 2002. ↑ 12.0 12.1 12.2 12.3 Galanter M, Kleber H. The American Psychiatric Publishing Textbook of Substance Abuse Treatment. Fourth edition. Virginia: American Psychiatric Publishing, Inc., 2008. p169-176. ↑ Drugs.com. Wellbutrin. http://www.drugs.com/wellbutrin.html. Accessed 4 April 2012. ↑ Potter B, Orfali S. Drug Testing at Work: A Guide for Employers. California: Ronin Publishing, Inc., 1998. ↑ 17.0 17.1 Lee S. Overcoming Crystal Meth Addiction. New York: Marlowe & Company, 2006. ↑ 19.0 19.1 Rawson R, Casey P, Dickow A, Frazier Y, Gallagher C, Galloway G, et al. A multi-site comparison of psychosocial approaches for the treatment of methamphetamine dependence. Addiction 2004; 99: 6. p708-717.